Mailroom management logistics are critical to the uninterrupted workflow of a University. 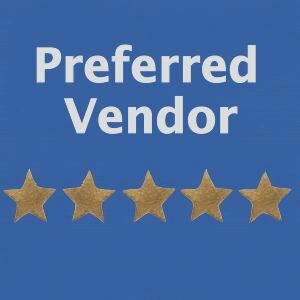 As mail service providers, our business is to process your most important and secure documents every day without disturbing the high quality university presence you have built. Our commitment is to provide exemplary and efficient mail management for every unique situation. Learn more about our long history of Mail Center Management. A secure mail screening process is necessary to ensure the flow of your business if not interrupted. 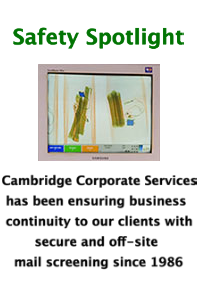 Cambridge specializes in developing scalable on and off-site secure mail screening solutions. Our solutions involve from standard x raying to advanced material detection and content extraction. Learn more about our dedicated and confidential mail screening options. Cambridge has the experience and staffing to provide solutions from on site management to dispatchers, to fully trained and bonded messenger and trucking employees. Our staff will represent the prestigious image that your university is trying to uphold. Safe and secure transportation of your items is our utmost priority and is handled with real time point-to-point monitoring and signature capture. Track and manage your mail and package deliveries throughout the entire process. Key conversion points throughout the process will be captured to allow in depth analysis of productivity and cost. Cambridge can aid in the development of unique indicators measuring the effectiveness of University mailing efforts. Learn more about our mail tracking solutions. Cambridge corporate services is a leader in providing articulate, highly trained front of house professionals including receptionist, switchboard operators, university concierge and administrative support personnel.Learn more about our staffing solutions. An effective records management program is critical to the success of your university or college. The ability to properly store and retrieve documents has become increasingly complex in this ever-changing regulatory environment. Reducing the time and money traditionally associated to standard record keeping creates an efficient and cost effective way to maintain university and student records. Learn more about our expertise in records management.